Discussion in 'Portable Headphones, Earphones and In-Ear Monitors' started by kb, Apr 15, 2016. Following the success of the award winning Campfire Audio Jupiter quad balanced armature in ear monitor and the single driver Orion IEM, Campfire Audio is happy to announce the final development and preview pre release of the 2 totally new in ear monitor models at this years Axpona show in Chicago, and then 10 days later at the fujiya avic headphone festival, The Campfire Audio Nova and Campfire Audio Andromeda. The Nova builds off the Orion model by refining and expanding on the foundation of the Orion. With its dual full range driver complement it delivers a full rich audiophile loving sound that leaves no portion of the frequency response un touched. 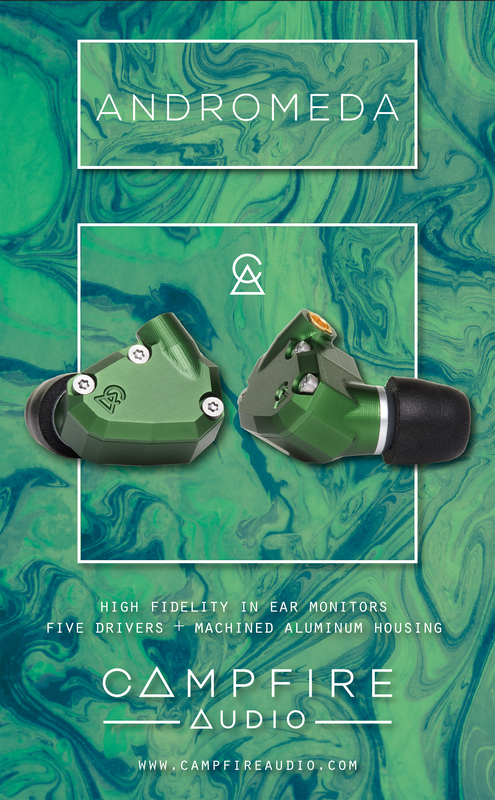 The Andromeda is Campfire Audios flag ship product, building upon the successes of Jupiter and further pushing the envelope of possibilities of the Jupiter, the Andromeda takes your listening pleasure to the next level. Enhanced mid rage and refined bass grip makes the Andromeda a truly out of this world listening experience! Both new models come with custom made PVD silver machined watch screws and 100% CNC billet aluminum shells. 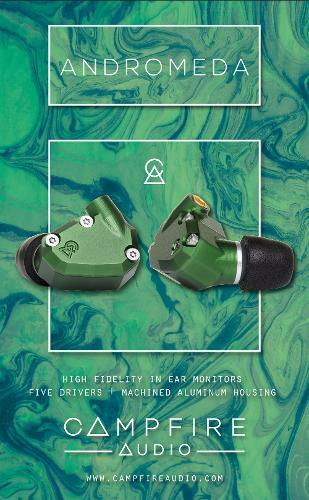 The Nova and Andromeda shells now have chemically etched surface treatment then are bright dip anodized, emerald green (Andromeda) and gunmetal grey (Nova). Both new offerings from Campfire Audio come with Campfire Audio's new litz wire IEM cable. 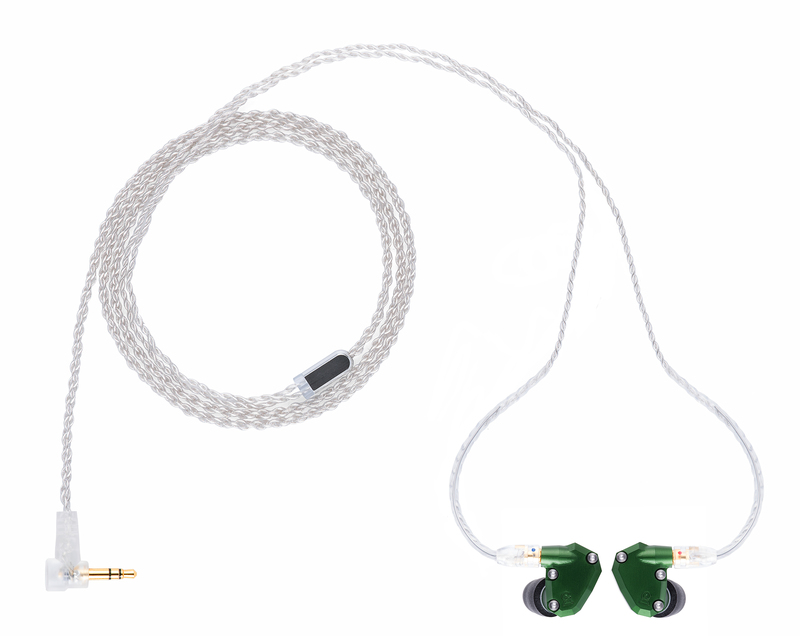 This new IEM cable is a superior grade cable that rivals any "upgrade" IEM cable. Designed for both advanced ergonomics and sonic abilities this new cable delivers unparalleled sound right out of the box. Andromeda and Nova are proudly built in the great state of Oregon US of A. Once we begin shipping the prices will return to normal. Preorder discount only applies to USA orders only. 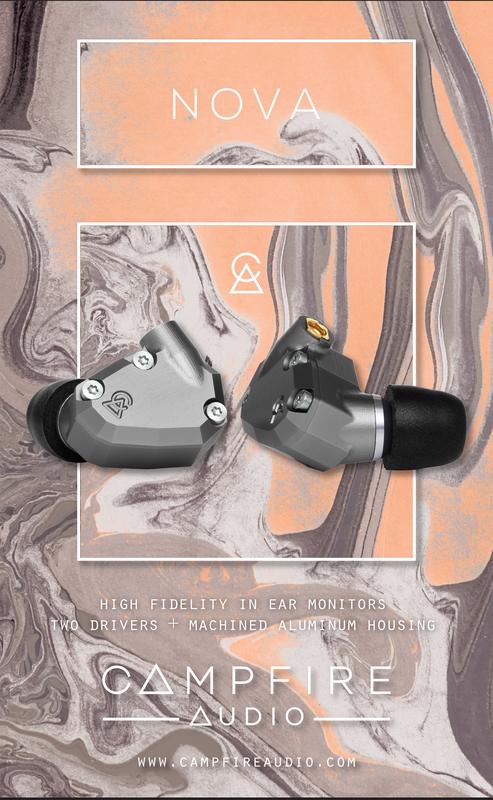 Stay updated on ALO Audio at their sponsor page on Head-Fi. Surf Monkey and d marc0 like this. Congratulations Ken! These two models look like they'd be worthy additions to the line-up. I know a number of people already looking forward to know more about them. thesoundfreq.com reviewer "Music is my escape..."
Does this mean beta testers get to share their impressions now? OMG! Thanks that I have not yet bought the JUPITER I will definitely go for Andromeda!! I should do my collection from 1 to 5 ? Oh very nice indeed. I must say I am a huge fan of the Jupiter. I assume that means you would love to know what I heard? You had me at Jupiter with more upper mids. Can't wait for details of the driver setup and pre-sale specials. 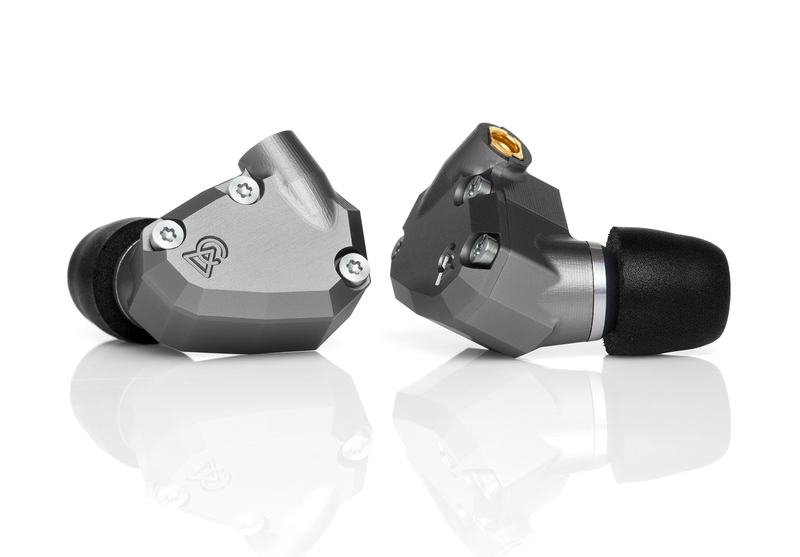 If you had to.....which JH Audio IEM might you liken the sound signature of the Andromeda to? Any new dynamic variations in the works? The Jupiter is already excellent! Just got my grubby hands on them yesterday.